The pen of inspiration writes “It is an easy matter to lose health, but it is difficult to regain it.” HR April 1, 1877. Let us focus on what we can do to prevent disease before it occurs! A well-known proverb by Benjamin Franklin states “An ounce of prevention is worth a pound of cure.” He's right. The ways of prevention are cheaper and wiser. In order to prevent diseases like colon cancer, it is useful to be aware of our family's health history. We are all born with genetic information that we have inherited from our parents, grandparents, and even great-grandparents. Each generation’s choices are encrypted in a genetic code that is passed down to future generations. Although we don’t have much control over our genetic inheritance, we do have a choice in how we use the knowledge of our family's health to prevent succumbing to the same diseases. Not only will this bring personal gain, but it can also benefit future generations. 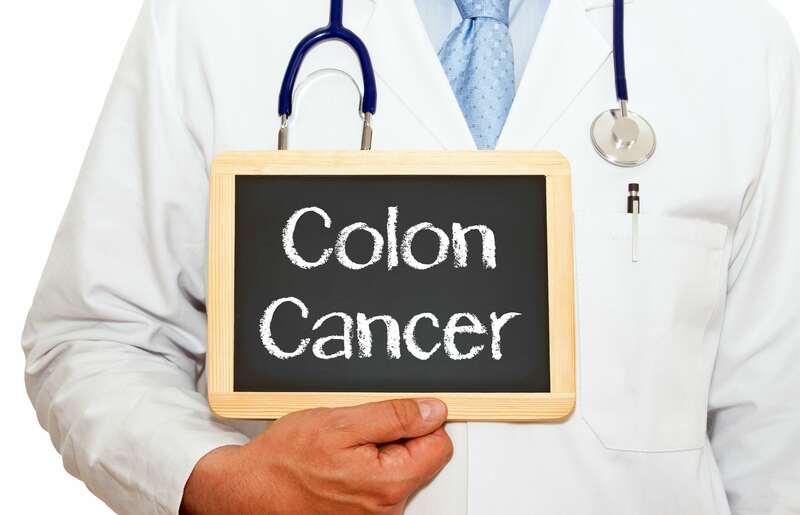 Colon cancer is the third most common cancer in both men and women, with a slightly more frequent occurrence in males. Men with a paternal or maternal history of colon cancer may have a higher risk of developing colon cancer. Internationally, the risk of developing colon cancer is strongly linked to total fat, total protein, total meat (especially pork, beef, lamb, and processed meat) intake, and a lack of dietary fiber. Our intestines are processing, fighting and combating cancer-causing agents, such as environmental chemicals, cancer producing viruses, free radicals, radiation, and poor dietary sources on a daily basis. Dietary changes can make a great difference in this scenario. By eliminating hydrogenated fats, such as margarine, sweets, chocolates, ice cream, and processed starchy foods, we can eliminate the trigger for an inherited cancer gene. Adopting a diet rich in antioxidants, such as the cruciferous and green leafy vegetables may offer protection against hereditary and lifestyle-induced cancers. Shifting from a sedentary lifestyle to an active lifestyle can also reduce the risk of colon cancer. Studies show that intense physical activity lasting 3-4.5 hours per week show the greatest benefits in that they increase gut motility, stimulate the immune system, decrease insulin-like growth hormones, and enhance the free-radical scavengers. Currently, the most accurate way to detect colorectal cancer is through a colonoscopy. A colonoscopy is a same-day procedure performed at a doctor’s clinic or local hospital. It allows the doctor to view the inner lining of the intestines through a camera. The test does not involve radiation or dyes. A thorough bowel cleanse is required prior to the procedure. The bowel prep comes in many different forms and specific directions are given on how to drink the solution. A half day fast may also be required before the colonoscopy. During the colonoscopy, some sedation may be used, but not general anesthesia. This allows the doctor to take a sample (called a biopsy) of any abnormal tissue, such as a polyp or a cyst, without causing pain or discomfort. After the test, some may feel a bit sleepy and require some rest and sleep. After the procedure, many individuals feel very hungry while others may experience some cramping and bloating. The doctor will call with the results and discuss them during an office visit. Signs and symptoms that may cause concern and require a colonoscopy are finding blood in stool, inappropriate and rapid weight loss, abdominal pain, cramping or discomfort, chronic constipation despite dietary changes, and family history of colon cancer. Current guidelines encourage undergoing a routine colonoscopy starting at age 50 in both males and females. However, for those with a first degree relative with colon cancer, screening starts at age 40 or 10 years prior to relative’s age of diagnosis, whichever comes first. For example, if your father was diagnosed with colon cancer at age 58, you would be screened at age 40 rather than waiting to turn 48. Sometimes, repeated colonoscopies are recommended every 3- 5 years for polyps and or other abnormal findings. Otherwise, a colonoscopy is recommended every 10 years. Preserving our health is a sacred duty (3SM 280.2). Making lifestyle changes is the first step towards preventing illness. Using appropriate screening tools to validate wellness and health does not undermine the power of faith in God, but rather allows us to use our faculties and advancement in knowledge to further glorify our Creator. May God Richly bless you with health and faith.